If you’re on Martha’s Vineyard this week – Aug. 1 to Aug. 7th – there are two events that might interest you. Wednesday August 3, I’m giving a talk with Q/A at the Edgartown Library – the new building – at 6.30pm. Here’s the library’s write up from their website. Please join us! 26 West Tisbury Road, Edgartown, MA 02539. “Author and former Princeton professor Elizabeth Benedict started her company, Don’t Sweat the Essay, to help high school students with their college application essays. Now she advises families on the entire process. Thursday August 4th is a very different sort of event at the Union Chapel in Oak Bluffs – a panel discussion, “Impact of Science, Technology, Engineering, Math (STEM) in the 21st Century.” With Dr. John Wilson, Morehouse College; Freada Klein, Kabor Center for Social Impact; Winston Henderson of Nano Terra, Inc.; and Rick Fredkin, Eduporium. 55 Narragansett Ave. Oak Bluffs. Contact me for information about college applications and application essays. 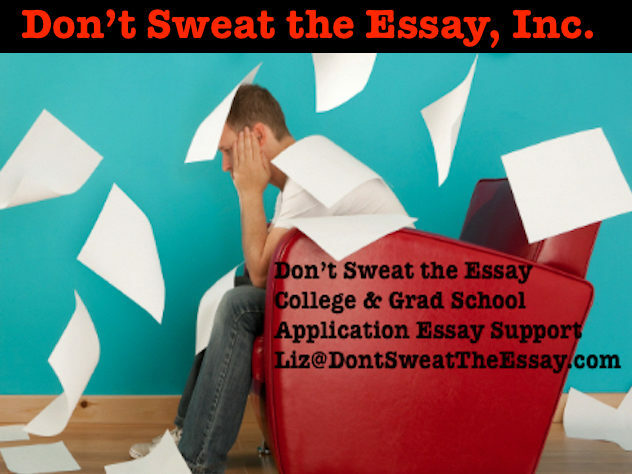 Liz@DontSweatTheEssay.com or 1-855-99-ESSAY.